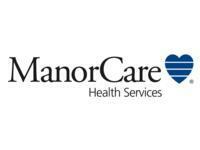 ManorCare--Fair Oaks is a Nursing Home facility at 12475 Lee Jackson Memorial Hwy in Fairfax, VA.
Services ManorCare--Fair Oaks provides extended-stay nursing care to seniors with varying levels of disabilities in Fairfax, VA. Please call ManorCare--Fair Oaks at (703) 352-7172 for more information or to schedule an on-site visit. My mother was in this facility for a short time before further medical complications sent her to the hospital and at that point I asked for another facility. The primary problem at this facility is the socialization of the staff with each other and neglecting patients. I'm only familiar with the day-to-day staff not the specialty staff. I think in every situation, management should stay in their facility to find out about the quality of care being given. When I went back to pick up her belongings I only dealt with the receptionist, management was nowhere to be found. The receptionist just pointed me to a direction where I had to ask further questions to recover her belongings. When I got them home, some of her clothing was put away soiled. Facilities for the elderly like this make me hope I die before I get to that point. This facility should be shut down, and the staff should not be allowed to work with humans. Come to think of it, they aren't qualified for animals either. The staff are heartless, cold, rude, and severely uneducated and unprofessional. From the care you get, to the food they serve is an absolute joke. This is a place to go if you never want to see your loved one thrive or smile. This place is an absolute disgrace. They leave you in dirty diapers for hours because as per the "qualified" nurse they "just changed you" and now their busy doing a whole lot of nothing. If you do decide to utilize this facility, you'll need your own fridge in the room cause they throw out your food. Or maybe they eat it? God knows I am sure they won't eat the food provided by the "chef" lol I use that term loosely. The head doctor of this facility told us we should worry more about my 61yr old mothers end of life care rather than an attempt at therapy. He is the leader of this pack and also should not be allowed to practice medicine. No one knows what the other is doing. No one knows who is who. Most of them have a hard time even speaking English. The ones that speak it, mumble at you. You get put on hold for 15-20-30 min and then when someone picks up they have no idea who you are or who the patient is. Overall this place is a torture chamber and not suitable for human beings. Please stay away from this place!!!!! It's a place to go if you want to wither away and die slowly. Did the staff at this senior care facility ever take personal phone calls when they were supposed to be helping you? Would you recommend this senior care facility to others? Did the staff at this senior care facility seem up-to-date with the current advancements in their field? Was this senior care facility's staff friendly? Was it easy to find parking at this senior care facility?